To remain centered in the face of uncertainty is the only option you have to avoid suffering. Either you suffer asking why something’s happening to you, wanting to understand what your Life is all about, or you just let go and anchor within. 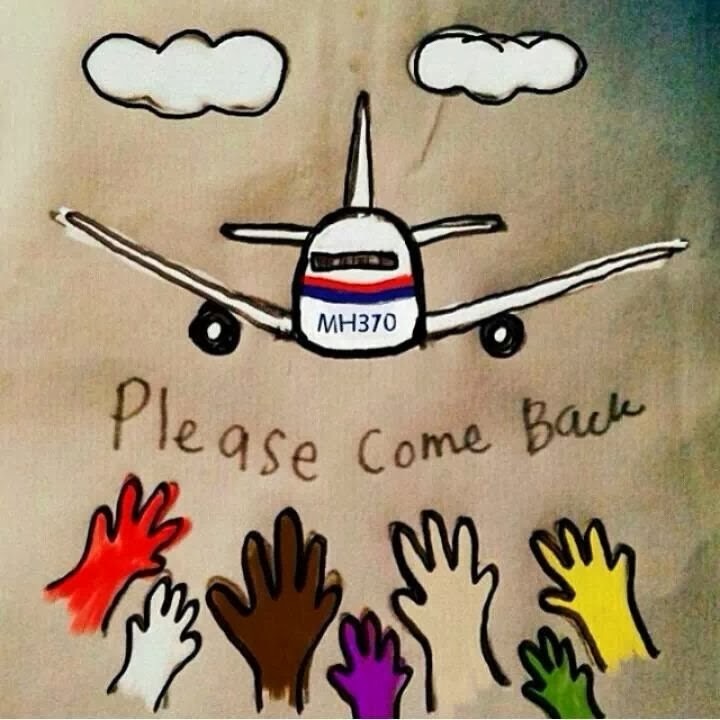 CNN.com has run a story on the husband of one of the passengers aboard the missing flight MH 370. The story, by Moni Basu, talks of the fortitude and feelings of K.S.Narendran, whose wife Chandrika Sharma was traveling to Mongolia on MH 370, and his daughter Meghna. 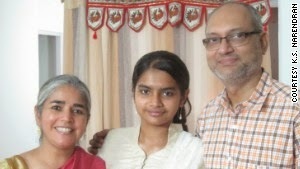 Narendran has shared a personal note he wrote to his family and friends with CNN. I reproduce here some excerpts from Narendran’s poignant note – reading it we can gain a meaningful insight to dealing with uncertainty. I can completely relate to every word and sentiment expressed by Narendran. My wife and I go through these feelings every single day. As we have been doing for several years now. What started off as a business situation, a bankruptcy, 10 years ago has morphed into an inconclusive, inscrutable, unfathomable personal drama over the last 20 months. Without work and without cash, we too hang precipitously from the edge. But we have learnt not to suffer and we have learnt to be happy despiteour circumstances. However absurd and irrelevant this may sound in a material sense, this learning has been the greatest wealth that our bankruptcy has unwittingly created for us. Living with uncertainty was never easy. And it still is difficult. But I have realized that suffering comes only from not accepting what is. Through our experience, I have understood that the nature of Life is uncertainty. It was always this way. Even when our business flourished and we were able to buy all the things that money could buy, it was uncertain. But I did not see either the beauty or the uncertain nature of Life then. I thought my leadership was causing all our success. So, when the business failed and the money stopped flowing, I suffered. Suffering can cripple and incapacitate you – totally. I suffered for months and years until I understood that while pain in Life is inevitable, suffering is pointless – and optional. I haven’t tried Vipassana – but completely agree with its concept of seeing things as they really are. Mouna, practicing silence periods daily, helped me see what is and taught me to live in the moment. Mounamagically set me free – from the tyranny of the past and the anxiety of the future. I have experienced the value that anchoring within brings to Life. It definitely, to quote Narendran, helps keeps the mind from whipping up “the menace of an overworked imagination”. From my experience I know this to be true – and possible. “Life is a Taste!” – Simply taste what is!!! Deal with hope judiciously. It’s good to have it but don’t cling on to it. Just let it be. And you simply be too. The situation that the father-daughter duo find themselves in is indeed difficult to even imagine. But often times Life will bring you to the edge of such a precipice. When even to hope will be a hopeless thing to do. Yet hope is all you will have in such moments. Understanding how to deal with and handle hope then can be immensely helpful. What must be understood first is that hope is always about a future which is yet to arrive. And Life is always happening only in the present moment. In the now. So, anything which is not real or true, which is not from the present, has the potential to cause agony and suffering. Not only because the thing or event that you hope for has not happened yet, but because you will agonize wondering whether it will happen at all or not. My inference is that when we try to reason and seek meaning from Life’s events, we will never be successful. Hope, in a way, is about reasoning and seeking to create meaning out of a Life situation. This does not mean that you must not have hope. Or that you must not want to be hopeful. Just don’t cling on to it. Anything that you cling on to, hold on to, will cause your suffering. Instead, just be. So, if you are in situations like the one that Narendran and Meghna find themselves in, when even hoping seems futile and yet you can’t abandon hope, remember Osho’s advice: “Life is a Taste!” Simply taste what is. And go on to the next moment, the next tasting session! Don’t try to search for Life’s meaning. Don’t yearn for an unborn future. Life’s a unique experience that is born and dies, anew, each moment. Live in and for the moment. You will never suffer then because nothing else will matter. Author AVIS ViswanathanPosted on March 13, 2014 March 14, 2016 Categories Chandrika Sharma, Dante Alighieri, http://schemas.google.com/blogger/2008/kind#post, Inner Peace, Intelligent Living, K.S.Narendran, Malaysian Airlines, Meghna, MH 370, Oregon, Osho, Rajneeshpuram, The Divine Comedy, The New Indian Express1 Comment on “Life is a Taste!” – Simply taste what is!! !